This versatile Compact AC/DC Charger from Watson charges any NP-BD1, NP-FR1, NP-FT1, NP-FD1 or NP-FE1 lithium-ion battery via the included dedicated battery plate. The charger runs on 100-240VAC power, allowing for worldwide use. It features a fold-out 2-prong US plug and is supplied with a European plug adapter, as well as a 12VDC car charger that plugs into a cigarette lighter. This makes it ideal for use both at home and on the road. 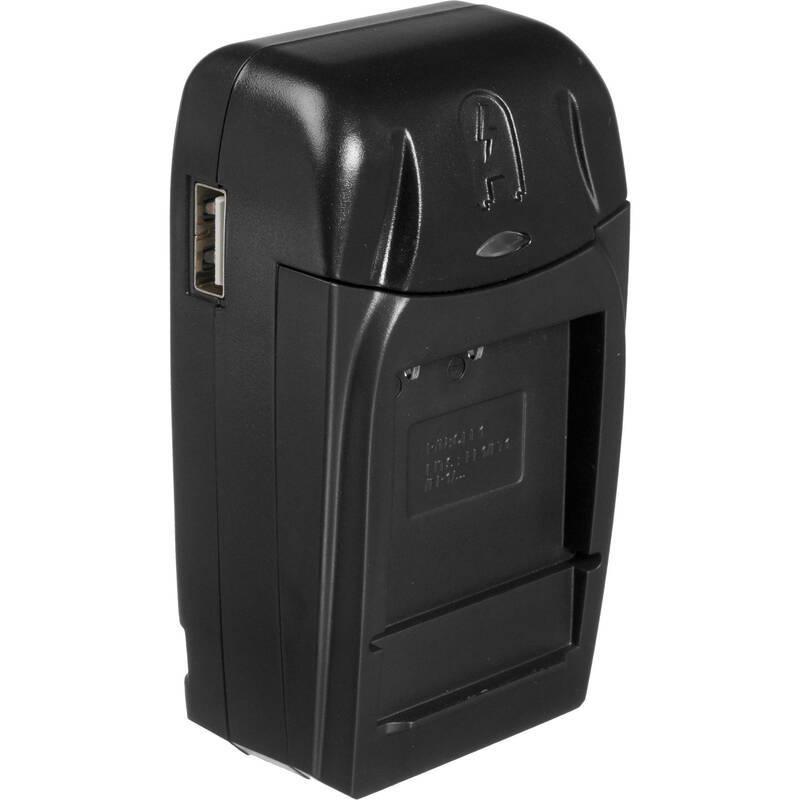 Compatible with any Sony NP-BD1, NP-FR1, NP-FT1, NP-FD1 or NP-FE1 type battery. Included DC adapter with cigarette lighter plug lets you charge while on the road. Box Dimensions (LxWxH) 6.9 x 4.6 x 1.8"
Compact AC/DC Charger for NP-BD1 / NP-FR1 / NP-FT1 Battery is rated 4.0 out of 5 by 1. Rated 4 out of 5 by AG from affordable alternative Works fine and is much less expensive than the brand name.? I merely had to buy a plate to fit my camera along with this.? Thanks to B&H for their suggestion. If I buy a Watson Battery Adapter Plate for NP-FW50 Sony battery, will the plate fit in this charger? Yes those plates are designed to fit with this Watson charger.